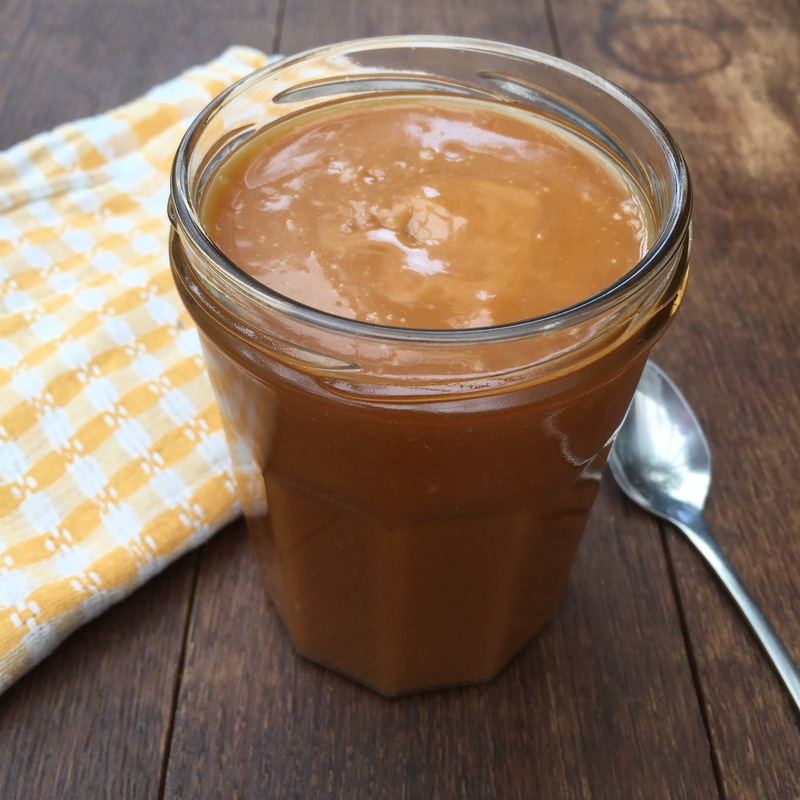 A very quick post today as I know some people are eagerly awaiting this recipe for Salted Caramel Sauce. It’s simple once you know how and absolutely amazing! I have had to restrain myself from simply eating it from the jar! – Pour the cream into a small pan and heat to just short of boiling. Turn off the heat and set aside. – Place the sugar in one flat layer in a large, heavy bottomed pan. You need it to be much bigger than you think as when you combine the ingredients it can bubble up and rise to nearly 10 times the height! Also, thin pans mean that the sugar may quickly burn as the heating is more intense. Heat your sugar on a LOW heat. It will take time (about 8 minutes to start to melt) but if you heat it too intensely then the sugar may burn and cause problems for you. Do Not Stir! – Once about 8 minutes has gone by you should be able to see the sugar melting around the edges. At this point you can gently turn the sugar so the melted stuff on the bottom comes on top and the solid sugar on top gets to the bottom. Your sugar should be turning from white to golden caramel. Don’t rush, it will get there. -Once your sugar is all melted with no lumpy bits take it off the heat. – Pour half your hot cream into the sugar. It WILL bubble, spit and rise up. Stir vigorously the whole time. – When it has died back down pour the remaining cream in, remembering to keep stirring. It will usually rise and spit again. It will look like a lumpy mess. This is normal. – Return the pan to a low heat and keep stirring. The lumpy mess will slowly melt back in and you will get a smooth pale caramel sauce. This will probably take about 10 minutes. If you have any huge lumps it may take longer but they will eventually dissolve. You don’t want the mixture to boil so keep it on a nice low heat and it will get there! – When you have a nice, smooth sauce sprinkle over the salt and give it a good mix then pour into a heat proof container. – I store mine at room temperature but that’s because it doesn’t last long at all! If you plan to be more restrained in your consumption then you can keep it in the fridge but be aware that it will stiffen at a lower temperature.